Home Control is a growing field of products and software that you can install yourself to control, automate and monitor almost every electrical device in and around your home. You can Control, Automate and Monitor your entire home and yard with any mobile internet enabled mobile divice from anywhere in the world WITH NO MONTHLY SERVICE FEES. 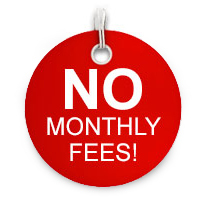 Before you get locked into a contract or pay thousands a year in monthly fees to those big companies, please check out our cost comparison guide here and see how much money you can save with a monthly fee free home control system from 007 Systems. These new Home Control Automation and Monitoring Systems (CAMS) are mostly wireless, like your WIFI, so there is no tearing up the carpet or making holes in your walls. A Home CAMS consists of four main categories. Controllers. A controller is a small device about the size of a stapler that is plugged into power and your router. Sub Controllers. Are controllers that are controlled by the main controller but also control other devices like a garage door or your A/V Equipment. Controlling Device. A Controlling Device is a device that allows you to control your accessories. You do this verbally with your voice or tapping on a screen or pressing buttons on a remote. if capable, they also give you, the user a visual display of what is going in, on around your home. A controlling device is usually a mobile device like a tablet or smart phone or a computer or something new like an Amazon Echo or an Amazon Dot. -Controls another device like a light. ​-Senses something in the real world and relays that information to a controller like a motion sensor or a door sensor or thermostat. -Move mechanically to do something like unlock your door or open or close a valve. If you are a bit confused as to where to start, we always recommend getting a controller first and adding on to your system as you go. Our controllers start at less than 100 dollars. If you want to save even more money, try looking at our kits if you know you want a door lock or control a thermostat or any other other of the features of our kits. If you still have questions, feel free to read below or contact us and discuss it. ​Below are detais about each of these components. The home controller is the heart of any home Control Automation & Monitoring System (CAMS). The controller is a device about the size of a router, plugs into your router, uses very little electricity and is very reliable. The controller also has a built in web server so you can monitor all of your home functions live and at any time from any computer or smart mobile device. It can also also be programmed to control all of your homes accessories by itself. (Automation) 24 hours a day, with NO internet connection needed to operate. These controllers also have a Geofencing feature that is built into them that enables the controller to tell if no one is at home, and then do things like, arm the alarm, close the garage door, turn off all of the lights and turn off the AC or heater. Similarly when you return it will disarm the alarm turn the lights on at the porch and more. All automatically. Without you ever thinking about it. We offer a battery backup devices to protect the controller from electrical surges and keep the unit running temporarily while there is a power outage. With a battery backup, there is almost nothing that will stop the controller from doing it's job. Voice control is undoubtedly the newest branch of your CAM system and definitely one of the enjoyable to use. Now you can very easily and inexpensively add a voice control product to your system and control your home with nothing more than the sound of your voice. Learn how to use your existing mobile devices or get new inexpensive wall tablets to control your entire home. These sub controllers convert signals from your home controller to your AV equipment. These signals tell the equipment to turn on and off as well as change inputs, channels, volume and more. See who is at your front door right from your TV when you are watching a movie. Wireless plug-in and install able switches that can control the power to any appliance that plugs into a 110v outlet. Monitor and control all of your IP cameras. Wireless electric keypad entry door locks that give you the ability to lock, unlock and create PINs for family, guests, friends and people that need to gain access to your home. Control, Automate and Monitor your pedestrian gates, garage doors and electric gates for guests, workers, employees and vehicles. Products that allow you to monitor and control the people that come to your doors or gates including your front door. Geofencing is an ability built into our Vera Home Controllers that enables the controller to tell if no one is at home. If all of the homes occupants are outside the geofence and not home, it can do things like, arm the alarm, make sure the garage door is down turn off all of the lights and turn off the AC or heater. Similarly when you return it will disarm the alarm turn the lights on at the porch and more. All automatically. Without you ever thinking about it. Learn how to create your own Irrigation system with schedules and then give it logic to not water when it rains. Wireless plug-in and install able switches for all of your indoor and outdoor lighting and fans that will allow you to dim them or turn them on or off or do it automatically. Power usage sensors that can measure the amount of power you are using and display it in different forms like graphs for easy viewing. These wireless Z-Wave relays are for controlling other devices like gates and doors. Wireless sensors to monitor all aspects of your space. From motion sensors to humidity sensors, we have them. Sirens connected to your home control system that will create loud noise and strobe when triggered. Wireless and wired thermostats that relay the current humidity and or temperature to your controller. They also give you the ability to totally control your Heating, Ventilation and Air Conditioning (HVAC) system. Now that your home controller has the ability to talk to your thermostat you can program your controller to automatically do things like automatically heat when it gets too cold, turn off if there is smoke or CO in the home, and my favorite, pre-heat or pre-cool the house when you come home. learn how to turn off the water coming into your home automatically when there is a leak. Prevent a leak in the first place by automatically turning off the water when the outside temperature reaches a certain temperature. Z-Wave is the wireless platform these devices use to communicate with each other. The great part about wireless accessories, Z-Wave in particular, is that the more accessories you add to your system, the better and stronger the signal gets. Most plug in or installable Z-Wave components are both a transmitter and a receiver meaning they relay signals to the next component. So the more components, the bigger and stronger your Z-Wave net (ZNet) gets. What does this mean to you? Well, this means you can add components pretty far away from the controller as long as there are other Z-Wave relay components in between the furthest component and the controller. All Z-Wave networks have a unique ID that is assigned to every device in the network, and that ID is different for every hub so your neighbor’s hub can’t control your devices. When an extra level of security is needed, such as for door locks and other high security devices, Z-Wave has another level of security which uses AES128 encryption at the same level that major banks use to protect financial information. Z-Wave AES encryption is supported by most Z-Wave hubs today and is required on all hubs with the Z-Wave Plus mark on them. You can customize your system do do anything you need. If you are here looking for a kit to do a specific task like water control or security, you might want to take a look at our kits. They combine parts that work well together and save you money. We also Install, Advise and Service - Security, Audio / Video Equipment, Low Voltage Wiring. We can come by your home and give you a free custom estimate that will fit your needs. ​If you are not sure where to start, please contact us.